1. How would you rate this set? Hello everyone and welcome to my review of the Crystal Beast. Firstly as always I want to thank Lego and the Eurobricks staff who made it possible for me to bring these reviews to you guys. The Crystal Beast has been a surprising character from the start. At first, this beast who was assumed to be azure shocked everyone at Toy Fair, when he turned out to be covered in trans light blue. 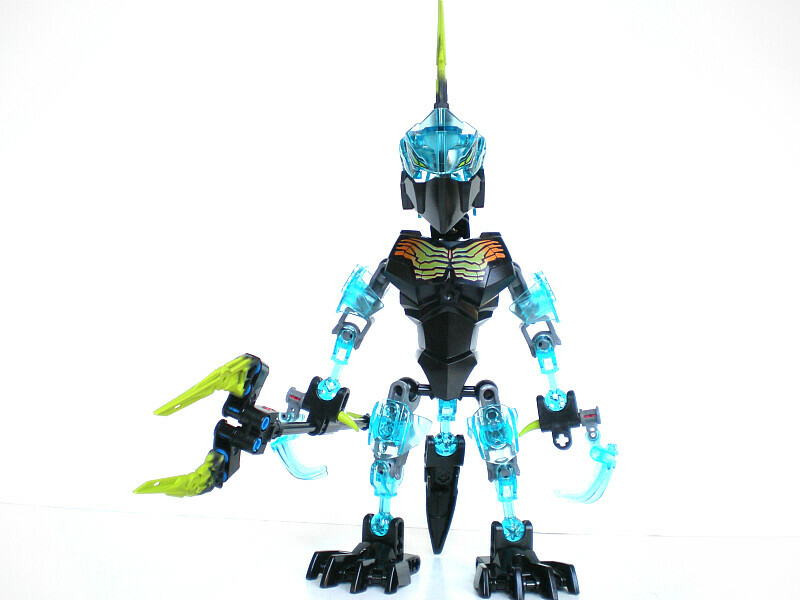 With the recent release of Chima's 2014 Ultrabuilds, trans light blue has become not so uncommon. Is Crystal Beast still a set worth picking up? The front of the bag once again uses the artwork from earlier in the year at the top of the bag. 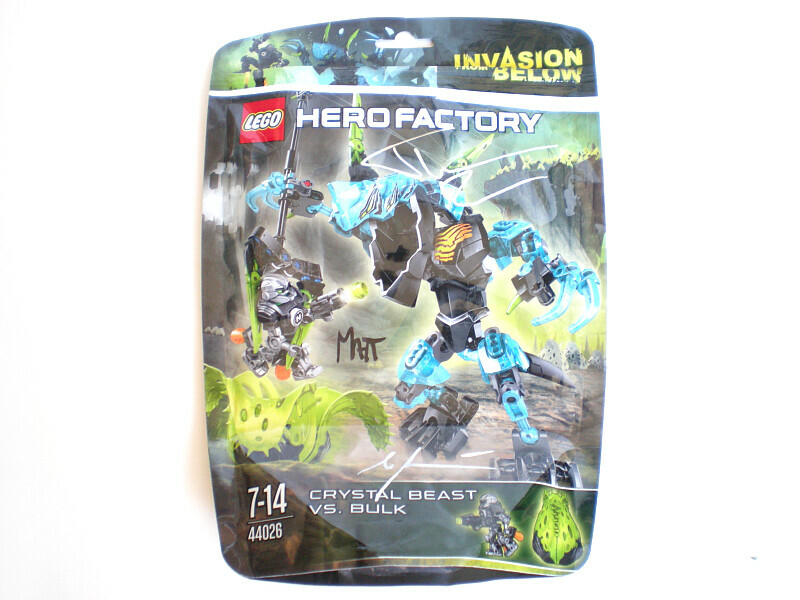 My sets were signed by set designer, and if the respective designers signed the sets, then Crystal beast here was designed by 3 people. 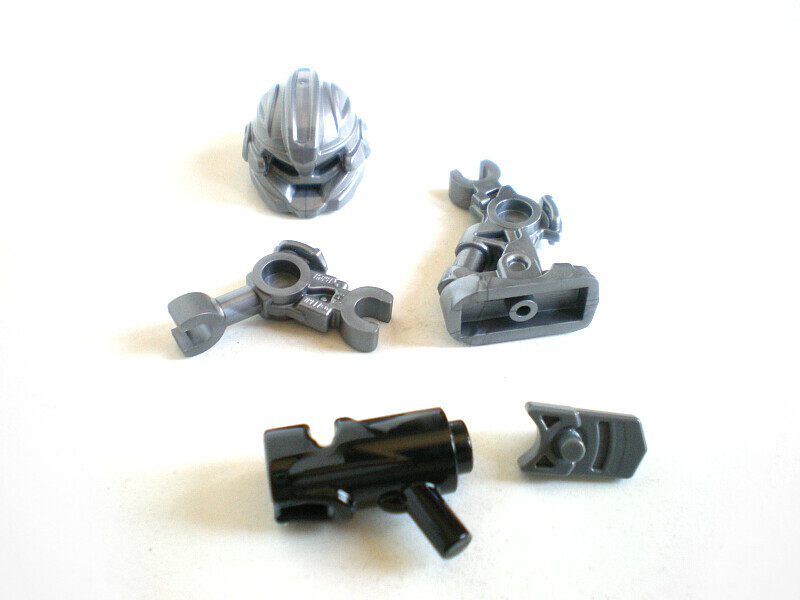 Two bags of parts, instructions, and a loose torso. To see the combo models and other interesting things in the instructions, be sure to check out the reviews of Queen Beast and Combat Machine where I look further into them. 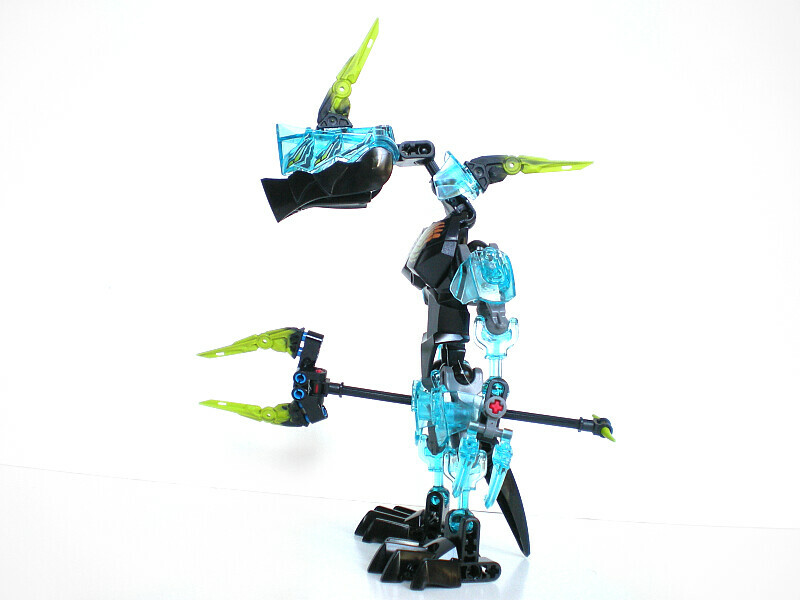 While many people will get their fill of trans light blue from the Chima 2014 ultrabuilds, Crystal beast does include the smaller jaw piece in a trans light blue. Sadly th other half of the jaw is in black. We get 5 of the second shortest bone in a trans light blue (the only other set with this piece is CHI Vardy who includes 1) and the 3.0 beast spike in a black/lime green mix. 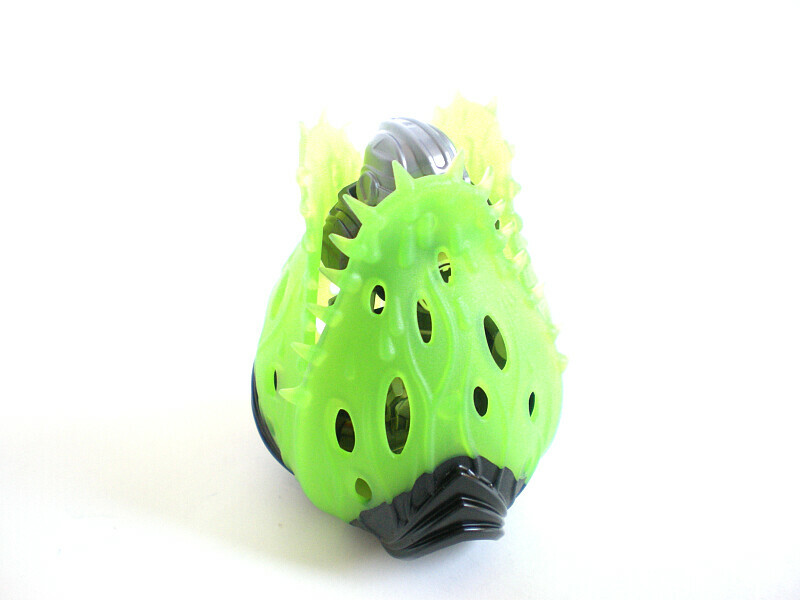 The cocoon petals come in a trans green mixed with black. 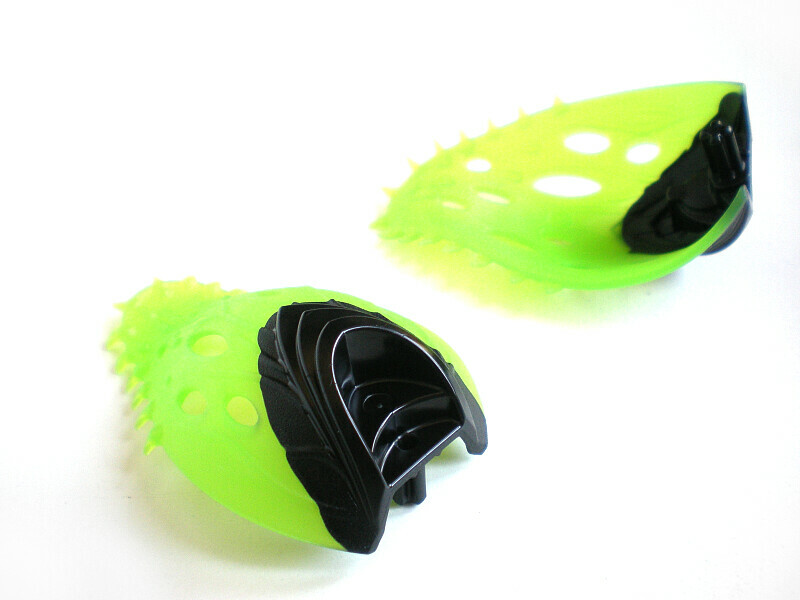 The black is a hard plastic and the trans green is a softer plastic. 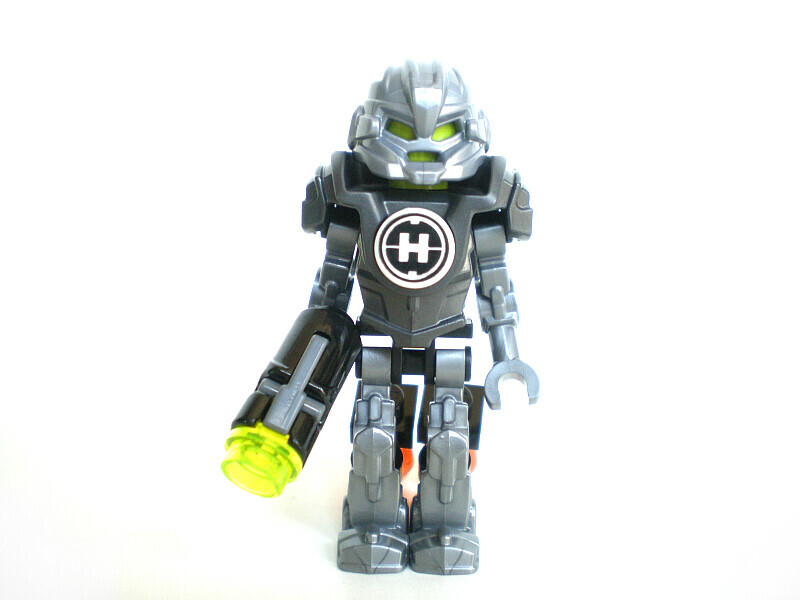 Minifig arms and legs recolored in silver, as well as Bulk's new helmet. Also I have included the gun in this photo. 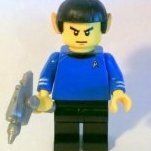 It was seen earlier in the year in 2014, so it is still relatively new, but it's a new major accessory to the minifigs this wave so I thought it was worthy to show. 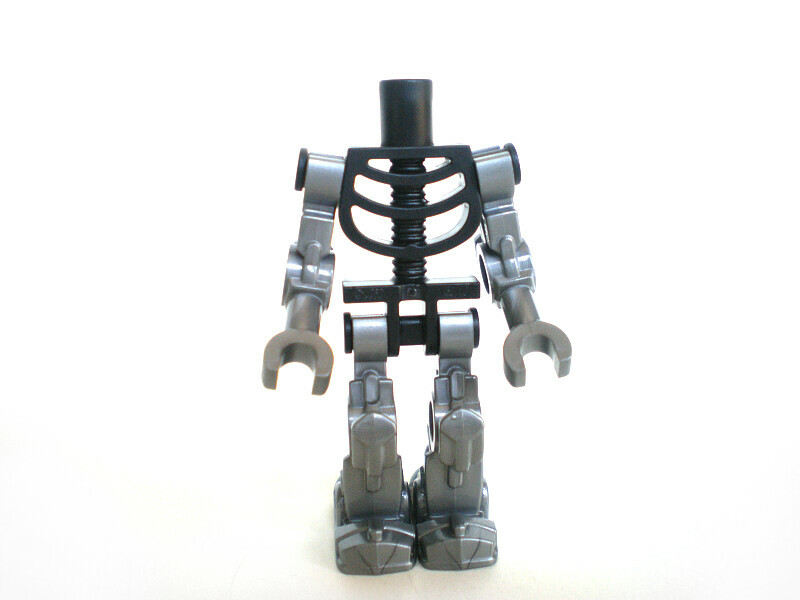 Bulk's build begins the same as all other heroes, utilizing a skeleton torso as the base. My main complaint with bulk is the odd choice for eye color. We haven't really ever seen Bulk display lime green anywhere in his color scehme, and I think a shade of orange would have made far more sense. Bulk does get a hint of orange as we spin him around. 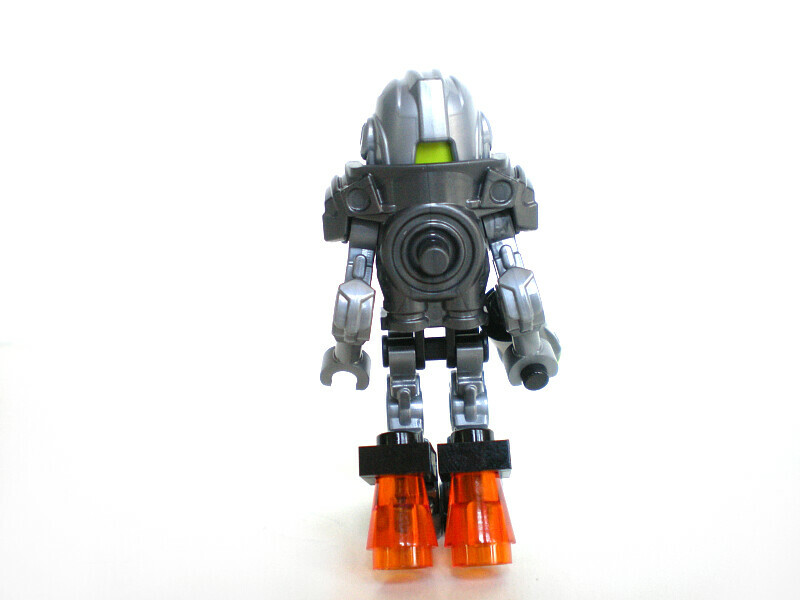 He features the same rocket boosters that Breez did in the first wave. The petals can be flipped down to imitate hatching, or in this case a daring escape. Of course, it can be difficult to fit the minifigures entirely into these cocoons; All Bulk has to do here is raise an arm and dig himself out. The body begins with one of the narrower torsos, and a tail construction. His limbs are fairly short, due to the use of the shorter trans-bone. All of the beasts this wave feature a unique claw design which I do quite like. I'm not overly down of how they chose to do the thumbs however. He's starting to shape up. At first people wondered why his part count was quite high, and part of that is due to this staff construction. The top has a sort of grabber that can hold on to Bulk. It's alright, but to me Crystal Beast feels like a character who would use something like a mace or a club. He does have some rather goofy proportions, his head is especially large in this shot. I'm not fond of the very thin torso construction. Originally I didn't like the looks of him having this extra long neck, but it has grown on me as a neat trait to his character. He doesn't have a revolutionary build, so nothing too unexpected here. His torso is quite simple, and really could have done with some bulking up. With that said, Crystal beast is one of two bipedal figures in this wave, and as such, is one of the easiest to put into some great poses. 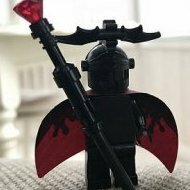 I really love the brick built claws as opposed to the standard "paw" piece being overused once more, and his facial print looks menacing. The extra neck joint also helps with some dynamic movement of his head, and overall I just like posing him. I should mention here that I adore this color scheme. 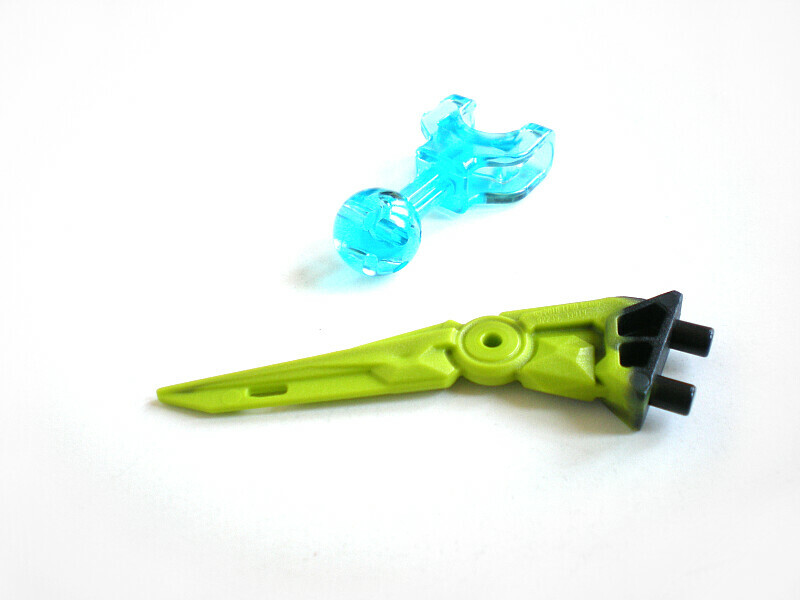 Trans light blue, lime green, and black is a winning combo for me, and I can't wait to utilize it on further MOCs. It also flusters me that his chest print uses that random shade of orange, which not only does this set not feature, but it's also nowhere to be seen on the queen beast. I think a blue would have made more sense. His staff can grab Bulk, as I mentioned earlier, though you can also grab him with the beasts claws if you prefer it that way. The colour scheme of this set is really striking and works for me, I like it. Thanks for the informative review. Everything about this set is amazing. The colour scheme, the parts, the hero figure, the cocoon... I could go on and on! 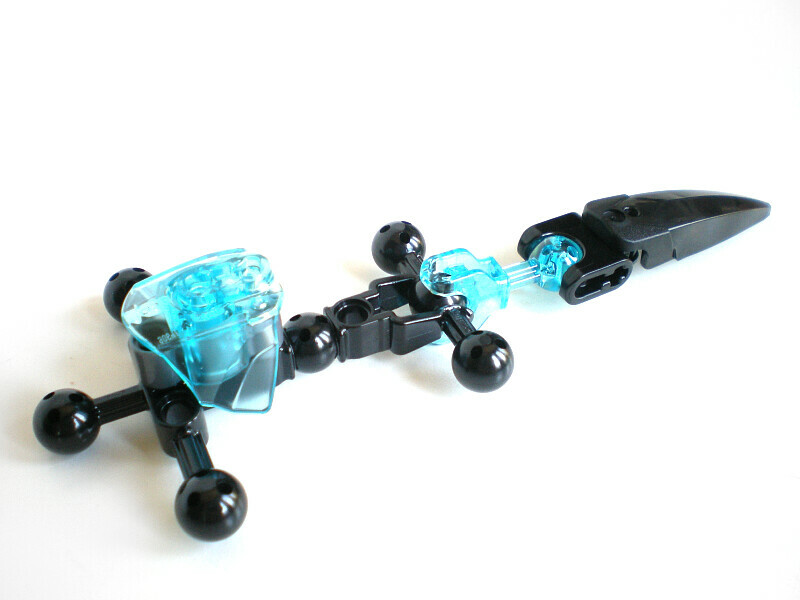 By far the best set of the wave. Thanks! 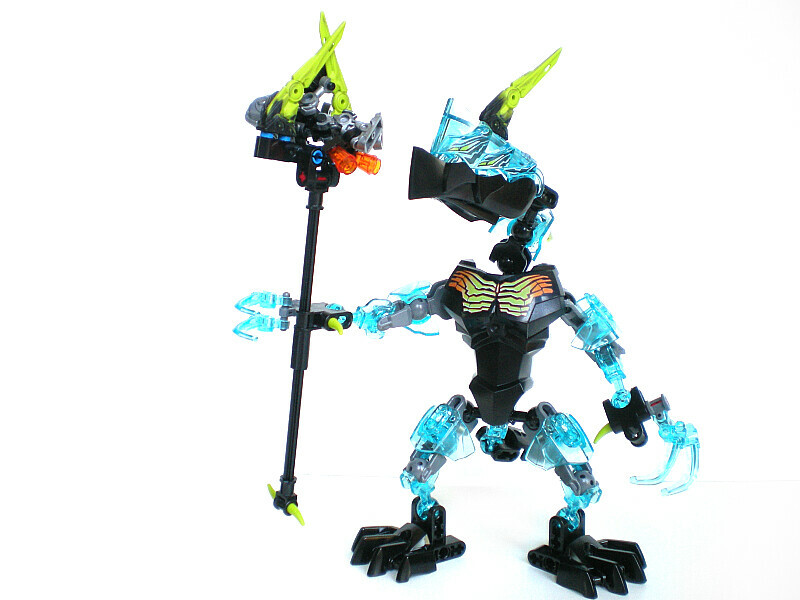 I will always prefer the Beast sets to the Mechs, but oh my, this has to be one of my favourites in almost every way. 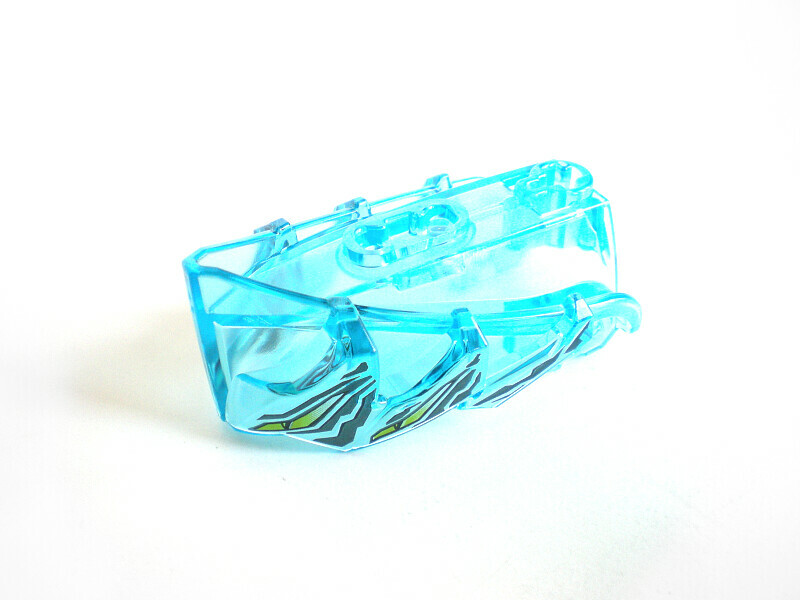 Blue is my favourite colour, and I absolutely love transparent parts. The proportions might be a little off, and I would have preferred the trans-light blue 5M or 7M beams here, but since the 4M beams are somewhat rarer, that's just a minor niggle. Nothing that I can't swap out anyway, which is part of what I plan to do with Crystal Beast and some of the mentioned beams which I have on order. I'm also guessing that these will be out either in July or in August. Either way, I can't wait! Useful review and pictures. Thanks! I just love, love this guy. Sure, his proportions are odd, but they fir well with his dragon-like look (all Beasts have something dragon-like in them, but he's the most dragonic one I think. And his colour scheme and head are just amazing- thanks to your photos, I can really appreciate them. Thanks a lot! 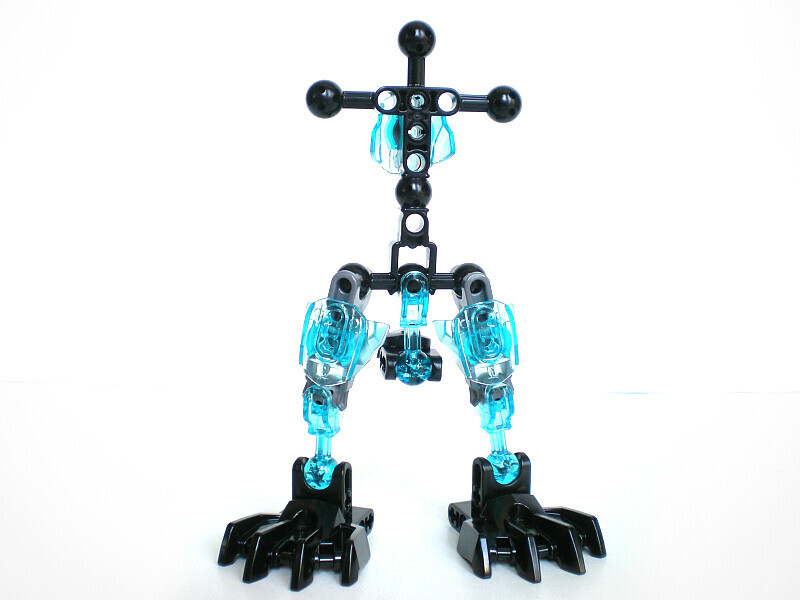 Dude, I might just get this guy because of the trans-blue pieces. They're friggin beautiful. 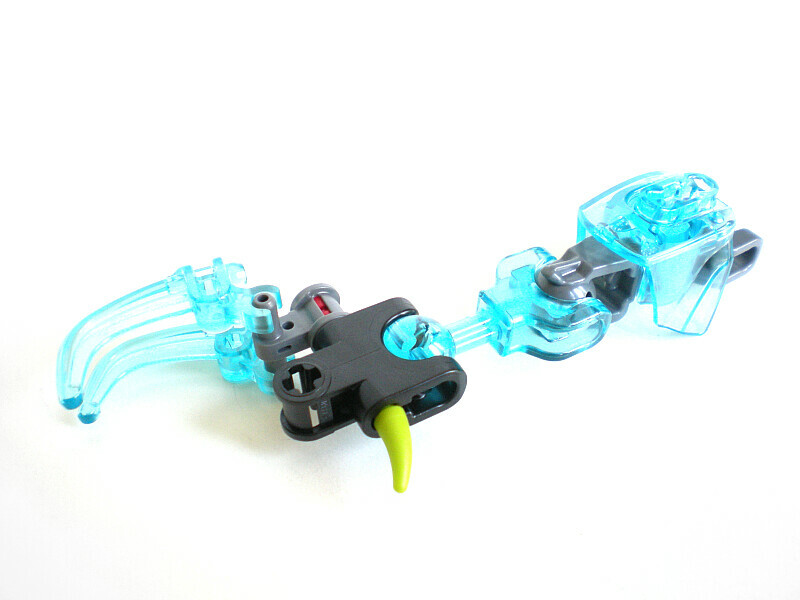 Those icy-trans-blue parts look beautiful in the light.. I'd probably pick the set up, just for that. Leave it in a place where lots of sunlight can shine through, pose it, and snap photos.. or you know, just bask in its glory. 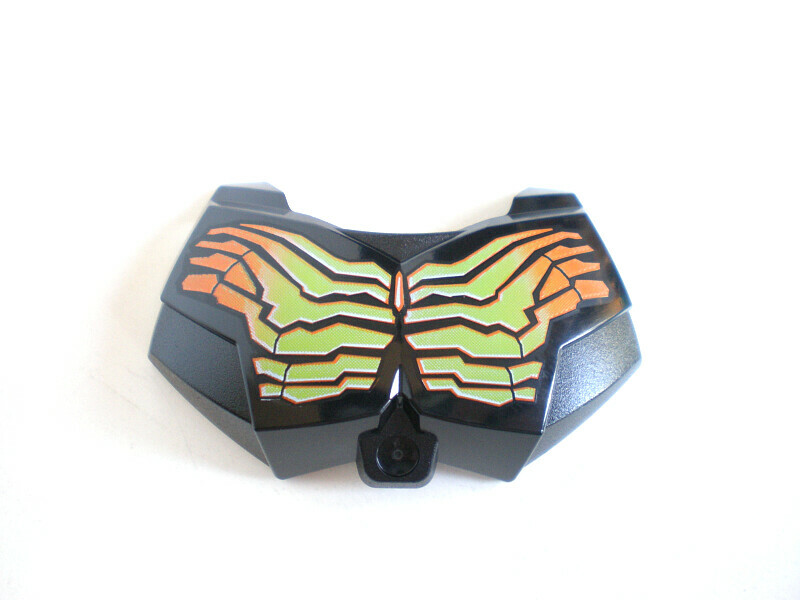 I also really like how those lime-&-black-'Quaza' parts work here with the scheme. Very cool. Bulk needs red eyes. Moving on. Probably will try to pick this one up, for reasons already stated. I like the set. But I feel the staff is unnecessary. I'm going to mod my crystal beast to have more spikes on the back using the ones on the staff. While I'm still going to buy at least three of him just for that tr. head, I feel Crystal Beast could have had more tr. blue, and what with the multitude of such pieces featured in the Chima sets, I've got to say that he's lost some of the appeal he had before the Chima sets were fully unveiled. Still, the recolored quaza spikes look beautiful, and I could always use more cocoons. Just a thought: perhaps the orange was chosen to show the ties to the Tunneler Beast? ^ The chest printing looks a bit on the gold side to me. I think it's to show his ties to the Queen. 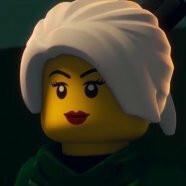 While the animated episode didn't state anything on that (but then again, did it really state anything in general? ) I get the feeling Crystal's pretty high ranking in the Beast hierarchy, given that chest and the staff he wields. 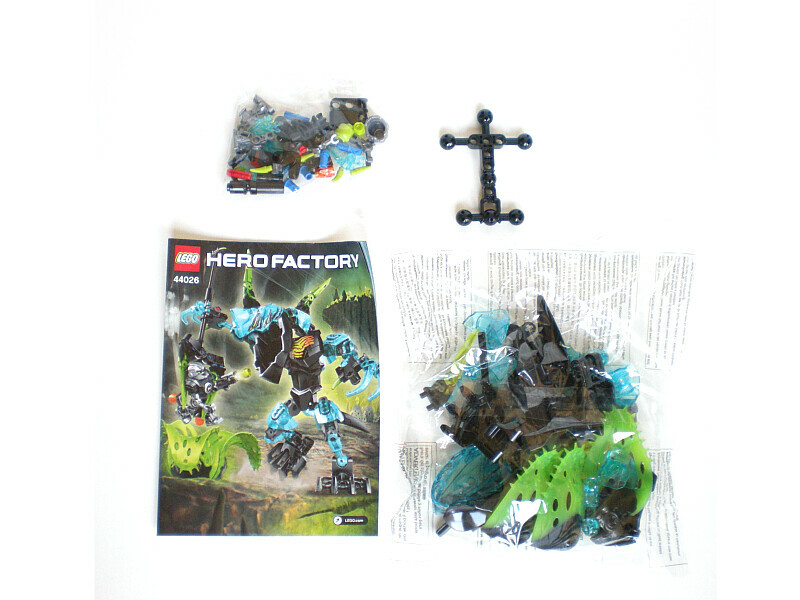 I don't get the hype around this guy, the build is quite generic, for me only the part value is good here, I'm also fond of the Bulk minifig and having more of those big spike pieces are always great. I mostly agree. In general the beasts this year tend to feel a lot less revolutionary than the machines — the exceptions are Tunneler Beast and Queen Beast, which feature delightful non-bipedal designs. With that said, this guy does look good — his build just fails to excite me, as possibly the most generic design of any of the beasts. The articulated claws and color scheme are his saving grace. I agree that Bulk's eyes would probably look better switched with Surge's, though he DID technically have green eyes in his Brain Attack form. There, however, they were masked by his Tr. Fluore. Reddish-Orange visor. Good review, and great photos! 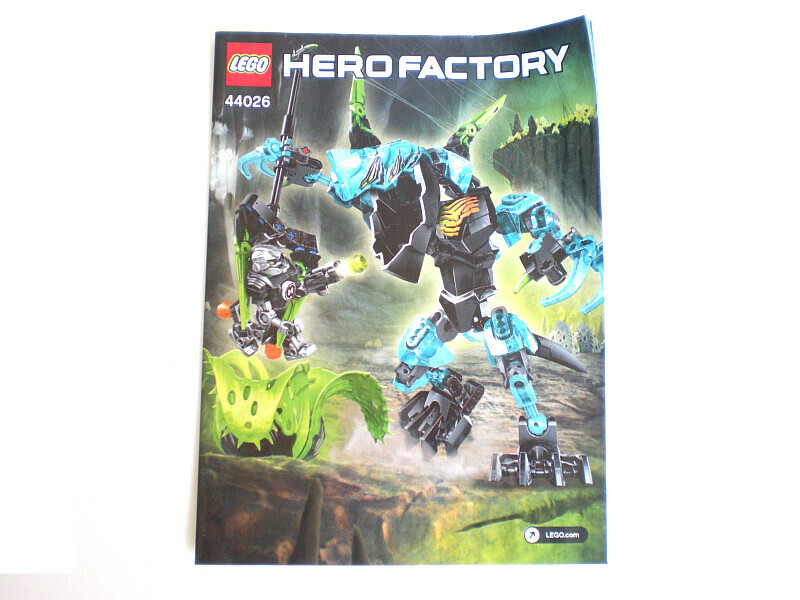 Another nice Hero Factory set, I might choose to get this too! I love this set! Thanks for doing such a great review!